Professor Matt Jubera is a World Champion (2012), Pan American Champion (2006, 2008, 2009) and National Champion in Brazilian Jiu-Jitsu (2011). 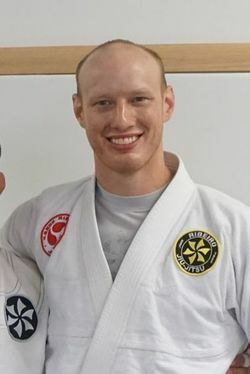 He is a 2nd Degree Brazilian Jiu-Jitsu Black Belt under Sensei Saulo Ribeiro and Sensei Xande Ribeiro- two of the world’s most decorated Brazilian Jiu-Jitsu competitors. Professor Jubera stands out as one of the few Americans to hold black belts in both Brazilian Jiu-Jitsu and Judo. He owns & runs his own academy, Jubera Jiu Jitsu, in Broomfield, Colorado.